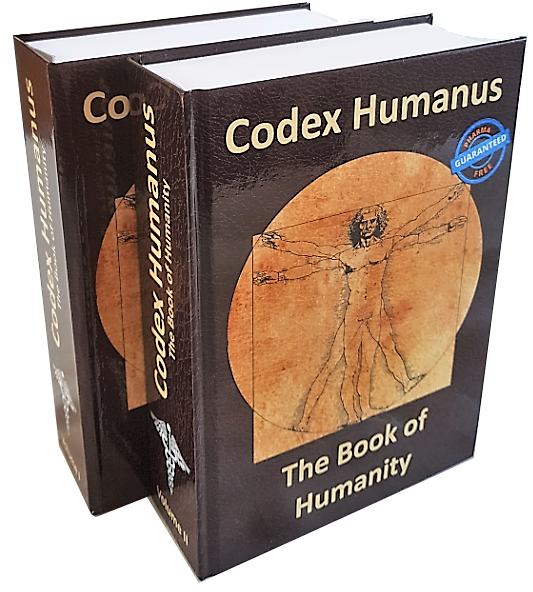 Product information "Codex Humanus - The Book of Humanity (hardback)"
Finally, the German bestseller "Codex Humanus" is also available in the English language! You can find out about concealed studies and gain inside knowledge concerning the most successful naturopathic substances from every continent and cultural circle in the world, across almost 2000 pages in 2 volumes (2 books!)! Find out facts first hand and use the complete Power of Mother Nature to successfully overcome all diseases today and tomorrow – without any aggressive chemicals from the pharmaceutical industry! The first book (in 2 volumes=2 books!) which combines all the key aspects of traditional alternative medicine (including traditional Chinese medicine TCM, Ayurveda, Central and South American indigenous medicine, etc.) with the modern achievements of orthomolecular medicine, biochemistry and gerontology is published without censorship! · Sabotaged and concealed studies about sensational successes in prevention and therapy for every imaginable disease! O for obesity (adiposity) and S for stroke , all ailments and diseases find their potent active substances – completely free of side effects! · Clearly structured tables of active substances and effects enable the fastest possible identification! · A controversial, unique compendium and reference work on the most important therapeutic substances and explosive study results from alternative medicine! Owing to the unaffordable patent system, the artificially created "representative studies" status causes thousands and thousands of credible medical discoveries to be marginalised, which cannot be found in the textbooks of future doctors and are only very rarely available in the conventional publishing industry for exactly that reason. "Codex Humanus – The Book of Humanity" is different! True to the German motto "The one who heals is right", the authors take the deeply considered view that every responsible citizen has a natural right to information about the complete repertoire of thoroughly investigated prevention and therapy options available, in order to protect or to restore his or her greatest asset – their health – and to successfully counteract biological ageing! With the "Codex Humanus", the "Book of Humanity", this valuable knowledge is available to you for the first time in an uncensored and condensed form consisting of 2 volumes just under 2000 pages, presented in layman’s terms. All the information is based on specialist knowledge and fully substantiated with studies and expert opinions. It includes hundreds of sabotaged and concealed studies, as well as comments from doctors and researchers who are independent of the pharmaceutical industry! The amalgamation of established tradition with the modern age, the detailed description of the most efficient, traditional remedies of indigenous peoples, such as the indigenous peoples from Central and South America, Ayurveda from India and traditional Chinese medicine (TCM) and the latest achievements of the western approaches to orthomolecular medicine, biochemistry and epigenetics, make this 2-volume book so unique. “This book takes the fear factor out of every disease..!" Codex Humanus, the Book of Humanity – a must for every health-conscious household! ONLY WHILE STOCKS LAST - GET YOUR COPY BEFORE THIS VALUABLE KNOWLEDGE ALSO FALLS VICTIM TO CENSORSHIP!!! 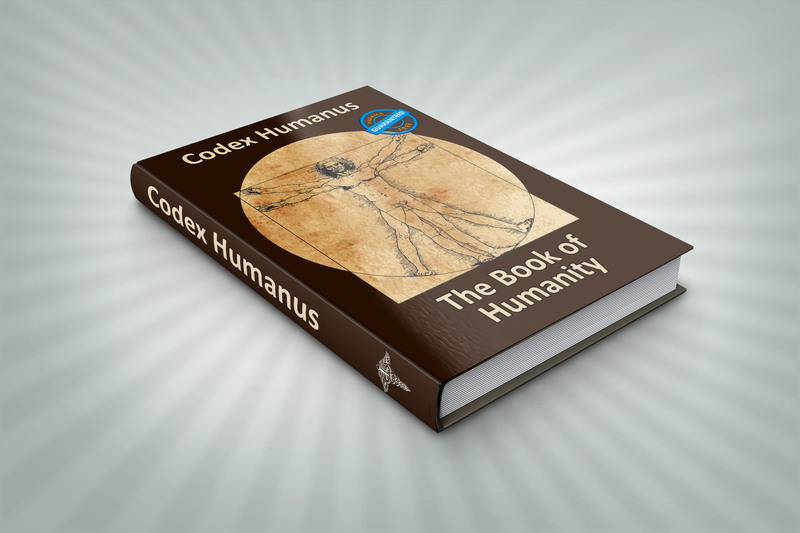 Related links to "Codex Humanus - The Book of Humanity (hardback)"
Our comment on "Codex Humanus - The Book of Humanity (hardback)"